Domino's Pizza (NYSE: DPZ), the largest pizza company in the world based on global retail sales, is continuing its global growth momentum with the recent opening of its first restaurant in Bangladesh. Within its first week of operations, Domino's Pizza in Bangladesh witnessed a record number of orders, which is the highest for the brand across its network in 85 countries. US Ambassador in Dhaka Earl R Miller joined the celebrations in the city on Saturday as part of the global announcement, reports UNB. 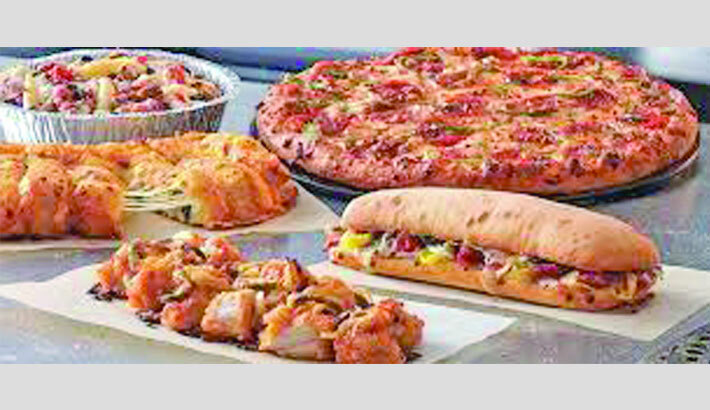 Domino's Pizza has entered Bangladesh through a joint venture between the master franchisee Jubilant FoodWorks Limited (JFL), one of India's largest food service company, and the local operator Golden Harvest QSR Limited, a part of Golden Harvest Group. The brand is operating under the JV named Jubilant Golden Harvest Limited. With the opening of the restaurant, residents of Dhaka can now enjoy hot, freshly-baked pizza in-store or through take-away. The first restaurant in Dhanmondi area features the new pizza theater design, refreshing and inviting interior, stylish seating as well as a front row seat to watch all the action of pizza-making. Additional locations are planned for later in the year, said a press release. "The jubilant management team, together with their local operator Golden Harvest, bring extensive operational experience, and we're fortunate to have them bring this experience to Bangladesh," said Joe Jordan, executive vice president of Domino's International. "Domino's is building beautiful pizza theaters across the world, and we're happy to bring these stores to Dhaka." he added. Pratik Pota, CEO and Whole time Director, Jubilant FoodWorks Limited said, "We are delighted to share that Domino's Pizza Dhaka has witnessed the highest pizza orders ever to be registered by any new store globally in its first week. This achievement is a reflection of the acceptance of our pizzas, both international bestsellers as well as the ones specially developed for the Bangladesh market, and our attractive value for money pricing. We look forward to growing our presence in Bangladesh and being able to serve many more consumers across the country." Rajeeb Samdani, Managing Director, Golden Harvest said, "This is an amazing feat that Domino's Pizza has achieved in Bangladesh. This record reflects the love of the Bangladesh pizza lovers towards Domino's, we are humbled to have been an integral part of it. We aim to be number 1 in pizza market, following this wonderful beginning, our belief has strengthened to achieve the same over the period of time."